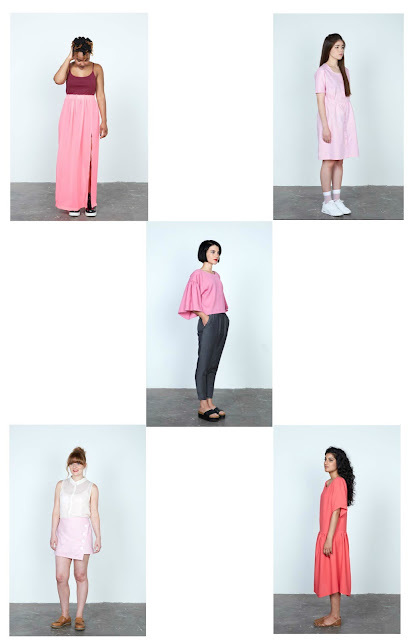 The first 5 designs in 'No Patterns Needed' all spring from the humble rectangle. 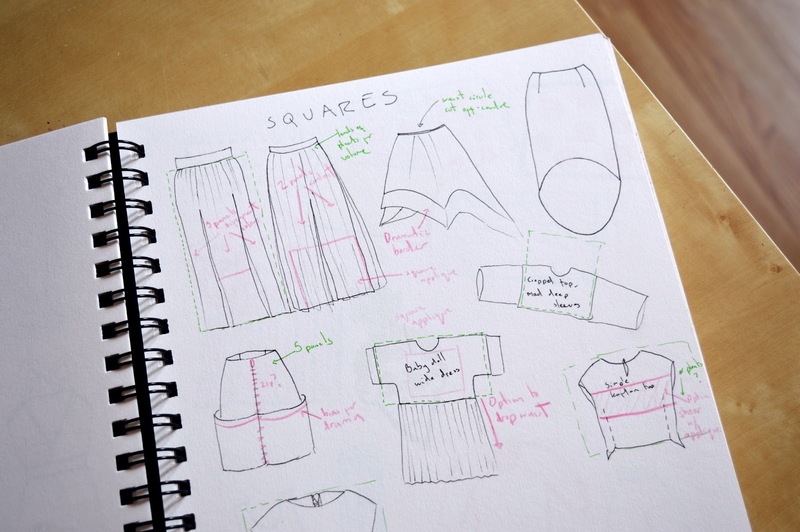 The 5 rectangle designs from 'No Patterns Needed.' Photography by Victoria Siddle. The rectangle is a reassuringly familiar shape. We humans love to make things with the rectangle. The laptop I'm typing on is rectangular in shape, and it rests on a rectangular table, which sits in a rectangular shaped room. The four corners are comfortingly regular, the parallel sides reassuringly stable. In a way, all sewing projects begin with a rectangle - the length of fabric that we watch in anticipation as it is separated from the roll. 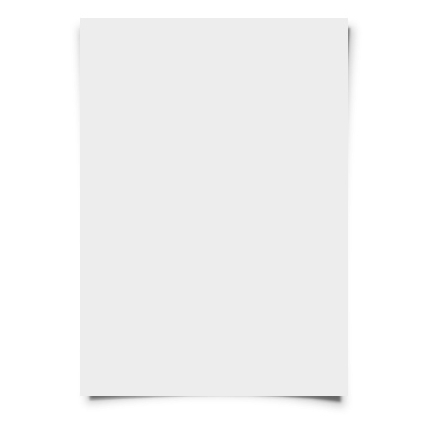 We treat this rectangle as a blank page. The flat piece of fabric is our canvas, so tantalisingly full of potential. What will we write? 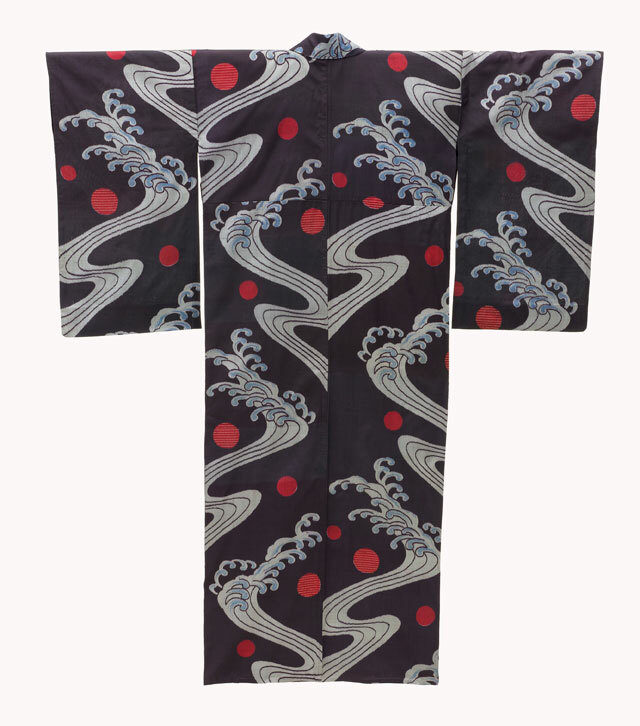 To me, the garment that uses the rectangle in it's purist form is the Japanese kimono. Every piece of fabric the Kimono is built from is rectangular, and it doesn't seek to alter that form. Kimonos are one standard size, and they are brought into harmony with the body through the use of a sash or obi - fabric is gathered and folded and held into place under the obi. In many ways, sewing does the same work as an obi. Rather than using an obi to hold tucks and gathers in place we use stitches. 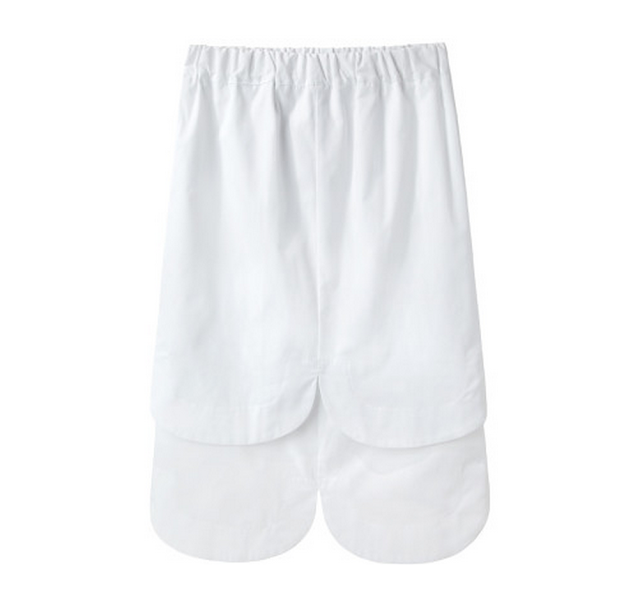 Rather than collecting up excess fabric and binding it, we often remove areas of fabric by cutting them away, in order to force our initial rectangle into something that fits the body. 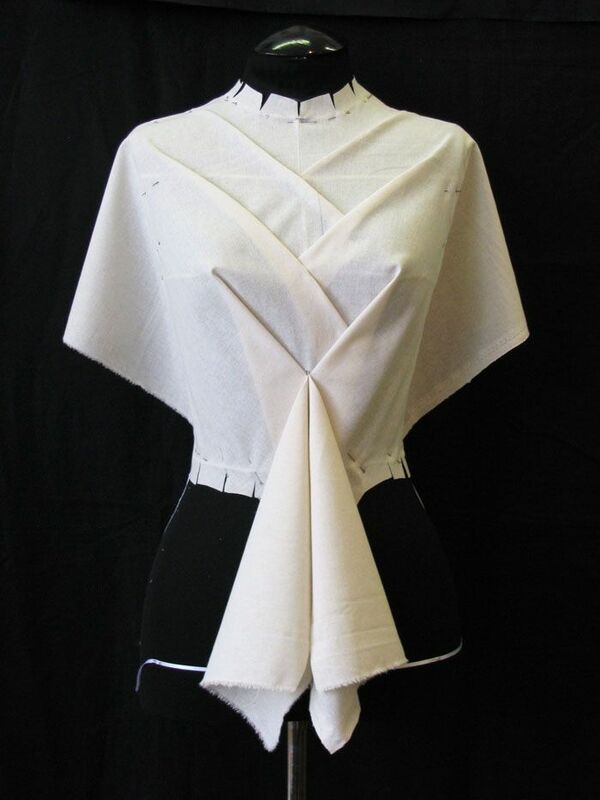 When I did a draping course I was struck that the first step is to mark out a rectangle in pencil onto your blank fabric. Draping sounds like it's going to very free and loose, but it actual needs the initial stability of rectangle. Just as the sculptor chips away at a block of marble to reveal a beautiful flowing form, the fabric is then folded, snipped and manipulated until the initial rectangle can't be identified. My book doesn't get as deep as a course in draping, but I was interested in how a few small changes could be made to a rectangle of fabric in order for it to become a wearable garment. The 1920s seems to be any era when home sewers embraced the power of the rectangle. It was a time when the fashions of the elite were able to be made and worn by everyone, as the designs were simple enough to recreate at home. Straightforward, illustrated sewing instructions seem to have been all the rage. 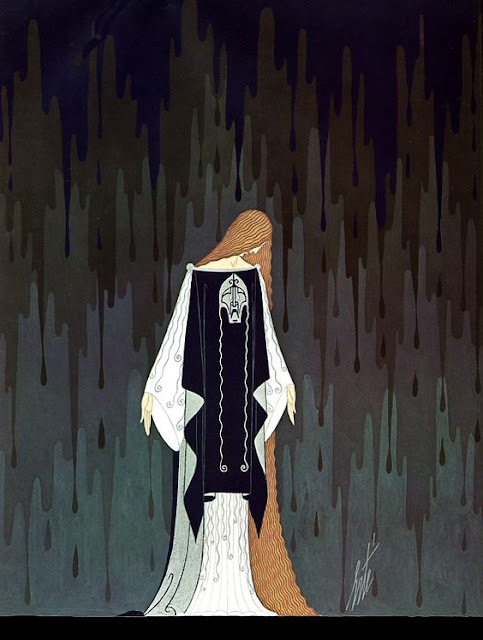 Damn, wishing I could travel back in time to the 1920s a bit now! I love the simplicity of the sum, five rectangles = one dress. The influence of art deco and the political significance of a move away from a 'womanly' figure meant that the simple beauty of geometric shapes were adopted eagerly in women's fashion. This lady looks like she is literally wearing a black rectangle that's pegged to her shoulders. And she looks great! I also looked at garments where the rectangle was given design prominence. I love this top by Calvin Klein where a rectangle forms a sort of bib. I bet that skirt she's wearing is made of just rectangles too. 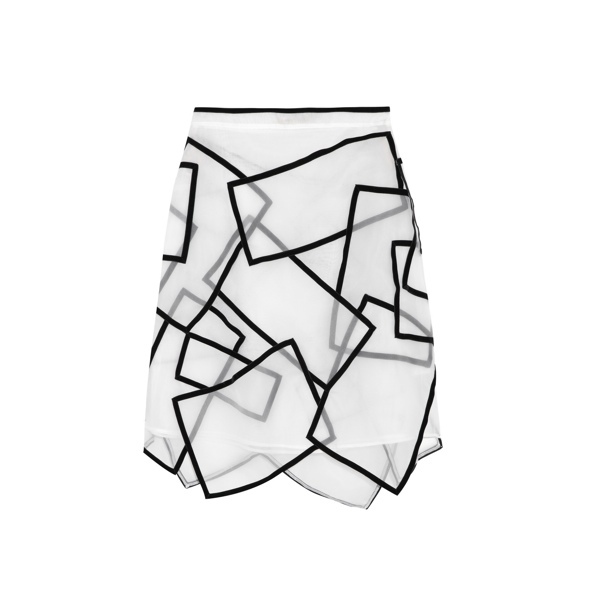 This Christopher Kane skirt is also a very clever and joyful celebration of all things rectangle. 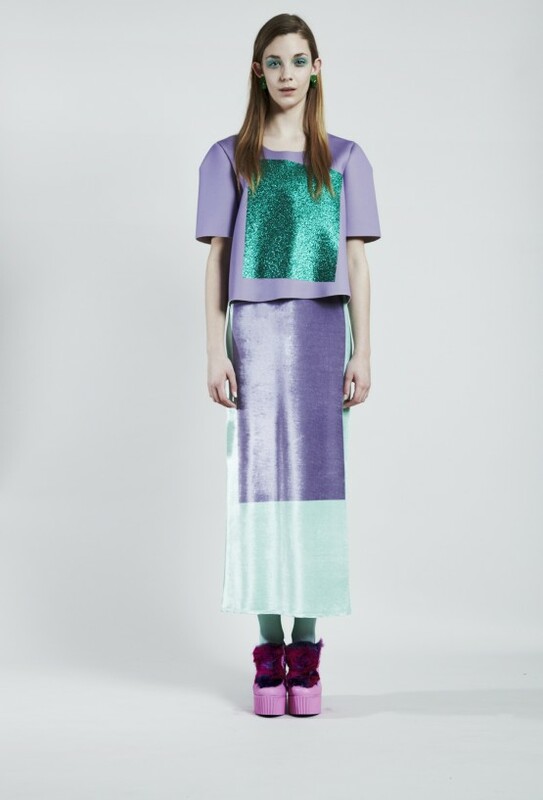 Loving Kitty Joseph's use of the rectangle to create some cool colour blocking. And whoever designed this has just gone and stuck a rectangle right at the front there, like the cherry on a cake. Who says cherries have to be round? Seriously though, this is some really ingenious construction and an admirably bold pledge of allegiance to the rectangle. I collected all my design inspiration on Pinterest here. I sketched out and experimented with making a lot of rectangle-based designs. A looooooooot. I mean, the possibilities are almost endless. Only two of the designs sketched here made it into the book. 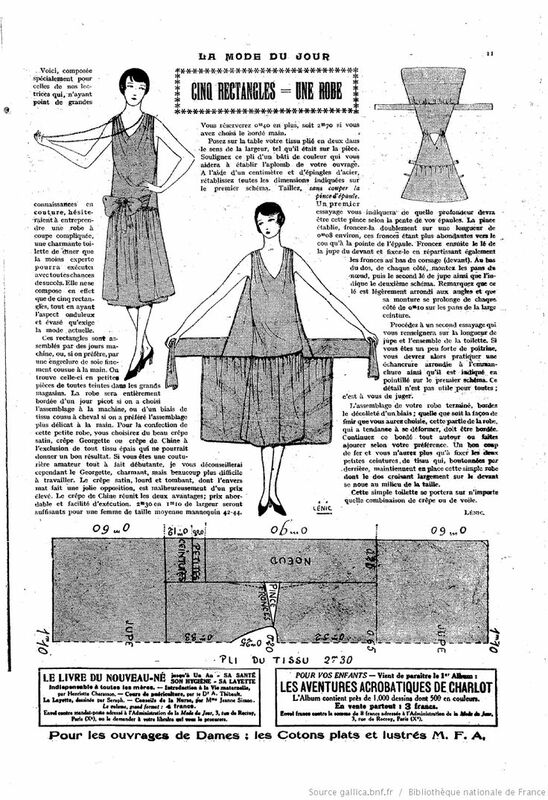 I almost want to write a whole book about making clothes with rectangles now. The Maxi Split Skirt, made as a midi here and modelled by Kristina, with slightly shiny faux leather highlighting the central rectangle. 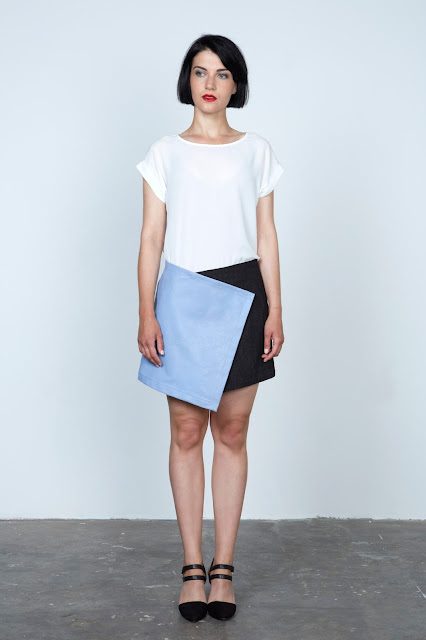 The Asymmetric Mini Skirt, modelled by Linda and drawing attention to the beauty of a right angle. The Deco Drape Dress, a design based on the slash and gather tutorials of the 1920s, made in silk from House of Hackney and modelled here by Mairead. 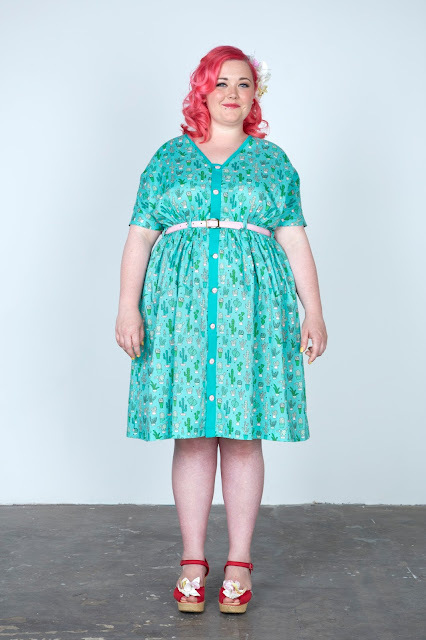 The Shirt Dress, the most involved of the rectangle tutorials including some tucks, some gathers and some cutting away, made here in this fabric from Spoonflower and modelled by Melody. The rectangle is the starting block in 'No Patterns Needed,' getting us off to a winning start. In the rectangles section we use rectangular pieces of fabric like bricks, to build clothing instead of skyscrapers, or we chip away at our rectangular fabric so that it becomes more fluid or is moulded to fit a body. In many ways safe - though with almost endless possibilities when it comes to creating clothing - the rectangle is followed by the wild, tumbling circle. I'll be profiling the circle in a blog post in a couple of weeks. Forbidding Internet usage is not a solution to protect your kids, it may get even worse. It is better to install a spy phone application to be aware of everything that is going on in your kids’ life. Click how to block adult content on android review for more info!